Hide deals from seller "The Little Gym of Glenview"
Hide deals from category "Kid's Activities"
Limit 1 per person. Classes must be taken in 4 consecutive weeks and started by Dec. 1, 2012. Promotional value expires Dec. 1, 2012. Call for registration and mention Deals Magazine voucher. 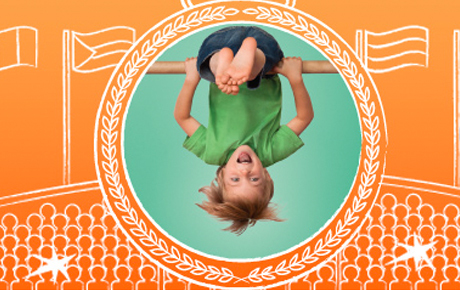 Get your child moving with 50% off one month of children’s classes at The Little Gym of Glenview ($88 Value). From parent and child classes for the little guys to gymnastics and karate for the big kids, this deal is valid for the myriad of classes that The Little Gym offers. In business since 2001, owner Bill Walenda puts a premium on developing children’s abilities and self-confidence. The various types of physical activities offered will help your child burn energy, build flexibility and strength, develop balance and coordination, and launch a lifetime of healthy habits. Your child will simply see The Little Gym as a place to play, laugh and make new friends, which is fine by Walenda and his team. Set your child up for success with this healthy deal. A children's gym in Glenview that focuses on building a child's self-esteem and helping them reach their potential with cognitive, social, physical and emotional growth.